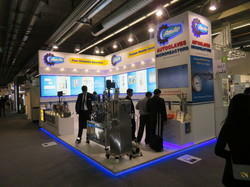 With the Enginnering background, well established design capabilities, more than a decade of experience in the field, within the group manufacturing and fabrication facility etc., we are able to deliver complete solutions / products for exhibition stalls, trade show stands and other display/promotional items. 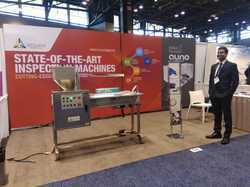 We offer Designing, Fabrication, Installation, dismantling of Exhibition Stalls and trade show, stands not only for Indian exhibitions but also for exhibitions across the globe. 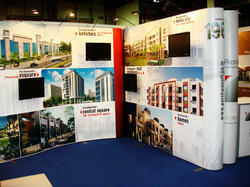 We can offer our services for modular exhibition stalls with reusability or exclusive custom fabricated one time stands. 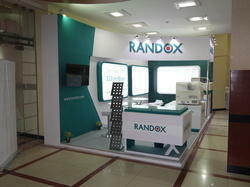 Apart from the services, we can also arrange to get the relevant products, materials etc from our associate companies. 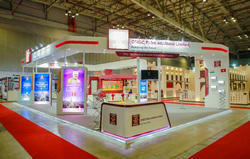 Backed by our design Capability and construction partners across the world, we are able to offer designing and construction of exhibition stand/trade show booths across the world. We can offer only designing and coordination services or offer complete-package including fabrication and set up with onsite supervision at all international destinations. Customised Exhibition Booth Design, Inoways has adapted over time to ensure it meets the client's requirements with customised exhibition stands that fulfill all branding requirements. 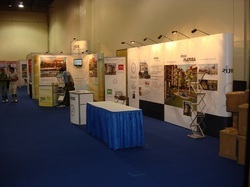 Inoways has been designing exhibition stalls, keeping creativity and innovation as key features, which results in maintaining brand awareness and integrity. Flexibility is always at the center of our ethos. 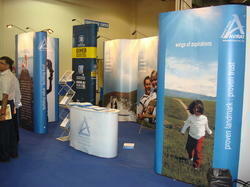 Which is why Inoways offers creative exhibition stands customised to suit individual stall requirements. Inoways is also equipped to offer complete exhibition solutions to the client, such as exhibition stall designing, stand construction, installation at exhibition site, designing and creation of exhibition invitation, exhibition catalogs, flyers and corporate presentations. In order to meet the diverse requirement of our customers, we are also involved in rendering effective and reliable Promotional Displays services to all clients. 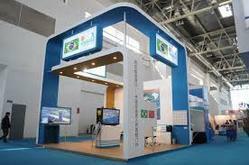 Customers can avail Promotional Displays, Makeover display and Dual make up Station services under this category. Our professional execute these services according to the guidelines of the industry and make sure that the requirements of the customers are fulfilled. Detail overview of these services that mentioned here. 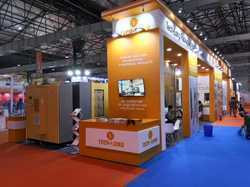 Offering you a complete choice of products which include exhibition services, exhibition stand fabrication service, exhibition designing services, exhibition stall services and exhibition stand services. 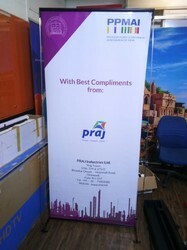 We are a leading Manufacturer of collapsible banner stands from Mumbai, India. 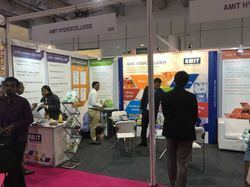 Prominent & Leading Manufacturer from Mumbai, we offer pop up display (1 x 3) straight system, pop- up exhibition stands, magnetic pop up systems, pop up curve (concave) display system and 2x3 straight magnetic pop up system.